This petition has been created by Elise F. and may not represent the views of the Avaaz community. Imagine what it’s like to spend your life in a tiny wire cage. Born in a space that’s a minuscule fraction of what your nature needs, and living there until the day you are slaughtered. Being surrounded by the noise, the sight and smell of others when your nature requires that you live in solitude. Being constantly stressed and harassed by your surroundings and by others, until your life ends in a spell of prolonged torture. An existence like this, and for what? – to end up on the shoulders of a human being with a misguided idea of beauty. The life of fur animals is hellish, but the European Commission wants its second EU Reference Center for Animal Welfare, which covers poultry and rabbits, to also focus on fur animals – an absurdity. No amount of welfare can improve the lives of wild animals forced into conditions that are the antithesis of their natural needs and environment, and 8 out of 28 Member States have already gone fur free. The EU’s Reference Centre represents a stamp of approval for the unacceptable and unnecessary suffering of millions of wild animals. We mustn’t let our money be spent on something that gives legitimacy to and even promotes a cruel industry, while neither citizens nor the bulk of the EU countries want this. Just look at the polls! Please sign and share the petition: We want the Commission to remove "fur animals" from the remit of the new EU Reference Center. We have only a few months to stop these unacceptable plans, but when we reach 500,000 signatures, we will ensure that Commissioner Andriukaitis and the research institutes involved know what the EU citizens want! “As citizens of the EU, we are appalled to discover that the Commission’s new EU Reference Centre for chickens and rabbits will also establish rules that will legitimize fur farming. 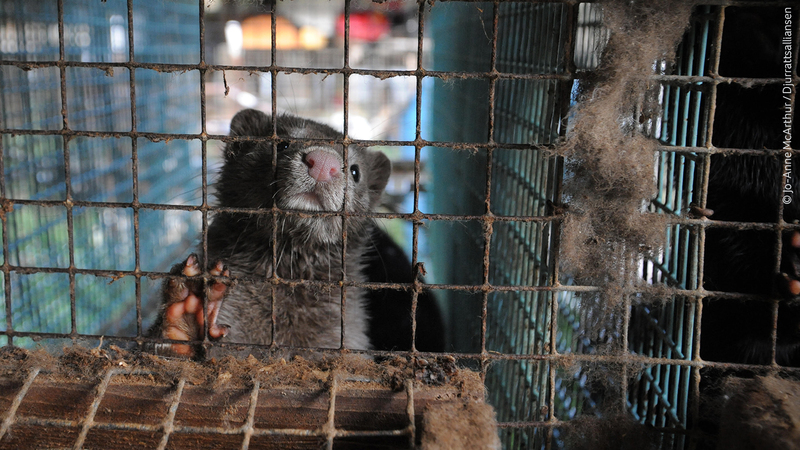 Welfare in fur farms cannot be improved; animals such as foxes or minks are wild animals that do not live in close proximity in nature and should not be caged and farmed at all. The Commission’s Reference Centre is normalizing fur farming when in fact 8 out of 28 Member States have dropped fur entirely, and more than 80% of Europeans in several countries, including Italy, Germany and Greece, are totally opposed to it.